Guide to economic evaluation part 3: What is agglomeration? Debates over major transport investments often get caught up in arguments over benefit-cost ratios, or BCRs. In recent years, projects such as the Transmission Gully and Puhoi to Warkworth motorways and the City Rail Link have been criticised for their low BCRs. These debates have often raised more questions than they resolve. So it’s necessary to ask: What is a BCR, how is it calculated, and what does it mean? In part three of this series we take a look at agglomeration, which is a potential benefit of transport projects that isn’t captured in traditional evaluation procedures. However, other externalities which have an effect on economic activity – the so-called “wider economic impacts”, or WEIs – are a little bit more complicated. If you want to understand the WEIs in more detail, I suggest you take a look at their paper, which is technical but not totally inaccessible. Here, I’d like to focus solely on agglomeration externalities – what they are, how they happen, and why we might want to include them in transport evaluation. Agglomeration has been a hot topic in urban economics in recent years – although, technically speaking, the theory of agglomeration goes back to British economist Alfred Marshall, who identified the phenomenon in the late 1800s. Agglomeration refers to the idea that larger and/or denser places are more productive. In other words, businesses operating in large cities tend to produce more output per worker than similar businesses operating in small towns. This isn’t just a theoretical argument – it’s an observed fact. Conceptually speaking, agglomeration externalities arise due to the existence of increasing returns to scale in an economy. Essentially, the more people work in an area, the higher the potential for knowledge spillovers between them, the lower the cost to buy and sell goods and services, and the better the matching of workers to jobs. There’s a deep economic literature describing how this process occurs and developing theories of agglomeration, but if you’re interested in a non-technical introduction to the topic, I highly recommend Edward Glaeser’s book The Triumph of the City. In 2006, the Auckland urban area was 36% more productive than the rest of the country, after adjusting for industry composition. In other words, an Auckland business would be expected to produce much more output per worker than a similar business elsewhere. 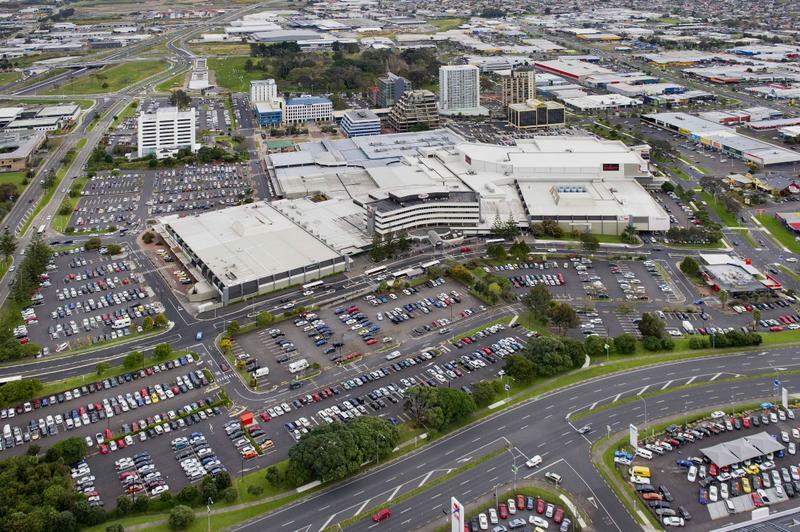 In 2006, the Auckland city centre was one of the most productive places in the country. After adjusting for industry composition, the city centre was 72% more productive than the rest of the country. There is a substantial positive relationship between density and firm productivity – firms located in areas that are twice as dense are 3.2-8.7% more productive on average, depending upon industry. Firms are willing to pay for proximity. Graham and Maré’s 2009 paper was used to establish NZTA’s parameters for evaluating the agglomeration effects of transport projects. These parameters, or agglomeration elasticities, estimate the relationship between increases to the accessibility of jobs in an area and the productivity of that area. Agglomeration elasticities are highest in knowledge-intensive industries such as finance and business services, and lowest (or nonexistent) in resource-based industries like agriculture and forestry. However, NZTA took Graham and Maré’s analysis of agglomeration one step further, arguing that what matters for firm productivity is not just physical proximity, but accessibility of jobs via transport. In other words, business productivity could potentially increase as a result of improvements to transport as well as increases in job density. There’s some empirical support for this idea –economists have tested a range of measures (pdf, technical) and found that both physical density and transport-weighted measures of density are associated with higher productivity. That’s why agglomeration benefits are typically calculated for both public transport projects, which are expected to enable more intensive land use, and road projects, which tend to disperse economic activity throughout a greater area. Is this a reasonable approach to project evaluation? I suppose my view would be: possibly. There are two reasons to be cautious about calculating agglomeration benefits for transport projects. The second and more serious reason for caution is that NZTA has assumed a causal relationship between effective density and productivity that might not exist in practice. Essentially, it’s not at all clear whether you can make a firm more productive by increasing the density or accessibility of the area where it operates. Do firms become more productive when they move into relatively dense areas, or do productive firms move into dense areas for other reasons? The most likely answer is a bit of both. Research done in the UK by economists Patricia Melo, Daniel Graham and several co-authors (ungated pdf version) suggests that the causality between productivity and density runs in both directions. In other words, density breeds productivity, but productivity also breeds density. This makes logical sense, if you think about it. On the one hand, firms may be able to access knowledge spillovers and deeper labour markets in denser areas, which is likely to make them more productive. But on the other hand, more productive firms are also more likely to be successful firms. If you put a lot of successful firms in one place, that area will probably become denser as those firms hire more workers. 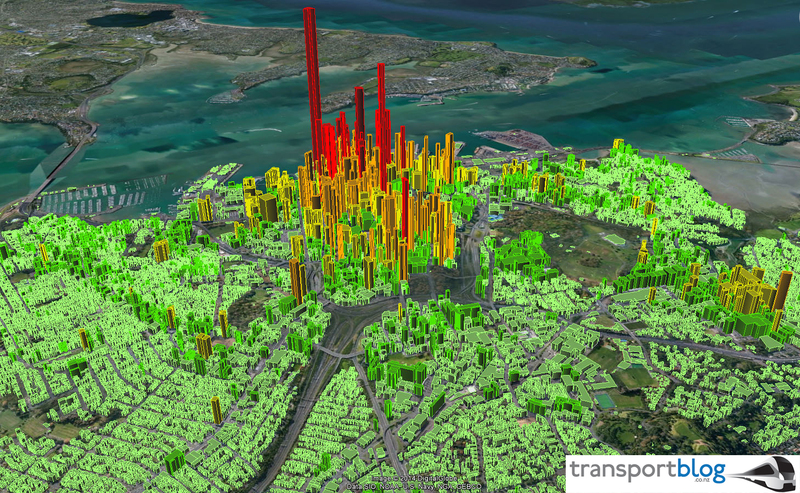 The upshot of this is that while there’s a good case to include agglomeration effects in transport evaluation, NZTA is using a method that probably overstates the benefits. Next time: The dark art of demand forecasting. I take issue with the statement “NZTA is using a method that probably overstates the benefits”; I don’t this conclusion is supported for two key reasons. First, NZTA are only measuring agglomeration benefits to producers. These are but one manifestation of agglomeration benefits. As argued in this post (http://greaterakl.wpengine.com/2014/04/23/the-two-sided-density-dividend-agglomeration-economies-in-consumption/), agglomeration benefits also accrue to consumers. Second, the endogeneity (specifically simultaneous causality) which exists between productivity and density does not mean regressions between the two variables will *necessarily* overstate the causal effects of the latter on the former. You can control for this by instrumenting the independent variable. That’s exactly what I did in my masters thesis, which I believe you have a copy of! I read your blog on consumption agglomeration benefits with interest, Stu, and suggest that from the perspective of the individual, that is the primary driver of agglomeration. Using the metric of “value added per employee” (and based on my personal experience of working for multinationals in various countries) leads to a very lop-sided view as to who the beneficiaries of increased productivity are. From a worker’s point of view productivity can be viewed as net income (after tax and expenses incurred in generating the income) per hour dedicated the generating that income. Based on that “individual” metric a suggestion that improvements to travel time (eg. by building the holiday highway) will result in a productivity improvement sort of fly (if we are dealing with the status quo and the individual is already living in the area) but it seems that NZTA are stretching credibility if they are using these assumptions to demonstrate some sort of equivalence in looking forward to a much larger Auckland in the future. In the past I have viewed productivity from a “lean manufacturing” perspective in which moving things or people adds no value to the output. One of the corollaries of that viewpoint is that a worker who has travelled 30 km to start work is no more productive than the same worker who has travelled 3 km in spite of incurring more more time and expense. One of the problems is that we dont measure economic benefits we use travel time and vehicle operating costs as a proxy (because they can be measured or forecast). So we need to make sure any additional benefit of density due to proximity to other activities isn’t partly counted in the proximity we calculated in travel time. In some ways it would be easier to dump travel time and VOC and work in terms of land values before and after (which will include proximity, agglomeration and everything else). I can see the benefits of density and proximity just in my job search. I have decided not to apply for at least three inhouse legal jobs over the last year because they were located in areas outside the central city area that are not easily accessible. The only real transport alternative was driving but even that would mean doubling or tripling my commute time. That is time that I could be working and being productive. Or just spending with my family, exercising or studying – things not easily quantified in dollar terms. These were fairly senior roles, so there wouldn’t be too many candidates for those in New Zealand. If you then restrict that even further by taking into account how much commute times might put people off, I would imagine the number of people applying might have halved at least. It leaves a small pool of available candidates. That means the company is more likely to employ someone who is less well qualified and experienced. This in turn could have a negative effect on the company as it may take on more risk as a result of a lower level of legal compliance – maybe. I think this is a real life example of the disbenefits of dispersed employment.